As you well know, it’s difficult to find good, conservative news sources. 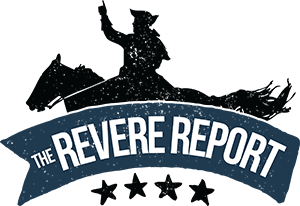 Well, we have a great all-in-one solution for you at The Revere Report. This site aggregates some of the top conservative articles from across the web and puts them all in one spot. It is updated automatically with conservative articles that are getting the most reads and shares across social media. It cuts out the work you do every day looking for good content. With the way conservatives are being silenced, it’s important that we establish as many channels of communication as possible. This website is a great way to do just that. Make sure to share this site. It’s new but it is already fully functional and jam packed with conservative content that is updated daily.